Greetings to those back home from the Philippines! This is Katelyn writing the update for our last Thursday here. This morning we were blessed with the opportunity to go island hopping. Our team started off by getting on a boat and go to two different parts of the ocean to snorkel around the islands. It was incredible to see a world that is right under us that we never get to see. The fish and sea creatures were so clear and vibrant and seeing them helped me to see that there is so much to this world that we don’t even know about. Even small creatures like fish are breathtaking and through snorkeling we were able to see God’s creation through a different lens and experience part of our world that we have so often overlooked. Following our time snorkeling, we went to the Puca beach and that beach was the most amazing beach that I have ever been to. Up to that point, I had thought that Boracay was the best beach there was, but it turns out that this one is up there too. The water was completely clear towards the shore and it turned into a beautiful blue as it got deeper. Along with that, the sand was so soft and it was so relaxing. Being on the beach, looking out into the ocean makes me feel so small and realize that God’s creation is so vast. Even half way around the world, I realize that there is no possible way to see all of the beauty that God has put here on this Earth but we need to appreciate the things that we are blessed with. In the afternoon we had a few hours of rest, and then we split up and went out to our feeding sites for the day. One team went to the island of Panay for their feeding site, and the other team stayed on Boracay. I was a part of the team that was on Boracay and we drove a short distance to get to the lady’s house who was hosting the site. When we got there the kids were very excited to see us and we shared the Bible story of Jonah, made balloon animals, and played with the kids. Being at each feeding site, even though we don’t spend much time there, was such a great opportunity to see how much joy the kids find in the littlest things in life. The impact that we have on the kids is far beyond our understanding. 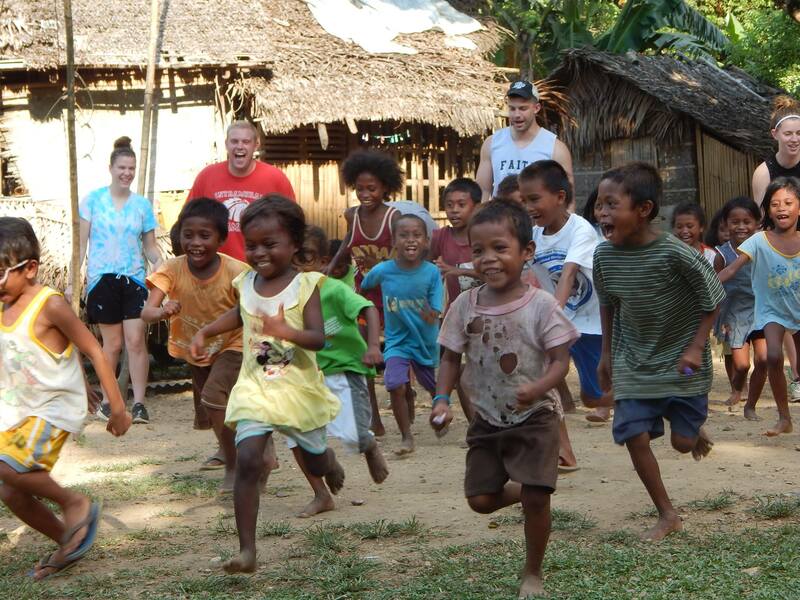 They have incredible joy from the simplest things in life that we don’t always get to see. Hello from the Philippines! We hope everyone is doing well in the States! This is Katie Drudy, the non LBC’er on the trip! Your loved ones on the trip have been incredibly welcoming and loving and I wanted to let you all know they are some of the most inspiring and amazing people I have come in contact with in life yet. Their hearts for Christ and their desire to follow his callings is overwhelming. You should all be very proud of them. It is currently close to ten o’clock here so our day is winding down. It was another beautiful day on the island of Boracay, I mean how could any day be less than stunning on this island though? We started our morning off with some fantastic breakfast as per usual, making our way through the numerous emails we received overnight—which was fantastic! WE LOVE THEM SO MUCH! KEEP SENDING! Bec gave her testimony and then we were back to work. We returned to the ministry site at the Philippines Red Cross today. The group continued many of the jobs we started the day before. Many of the team members have become pretty awesome at plastering if I do say so myself. A handful of the boys carried bags of sand that were at least 100 pounds up three flights of stairs! They are getting their workouts in for sure! We finished the structures for two cement columns and the group also sifted some sand as well in preparation for making concrete. The team has been reaching the point where we are experiencing our physical exhaustion, so please keep that in your prayers. Our leaders were gracious enough to allow us to have the afternoon off in order for us to regroup and rest so we will be ready to go for the rest of the week! It was definitely a blessing and something each of us were needing. Many of us spent the day by the beach or looking through shops and experiencing the hidden treasure – the Market. Many souvenirs are coming your way! We had another great meal for dinner and were blessed to hear Heather’s testimony. There was more free time tonight and many of us had some delicious food and milkshakes at De Mario’s. It has been such an awesome experience and every day we are here the Lord reveals his beauty in so many different ways. Nothing beats waiting for dinner and looking out the window watching the sun paint its orange and pink colors over the ocean. Breathtaking. With all of the work we have done I know each of us has found a new appreciation for all of the little things we take for granted in the States. 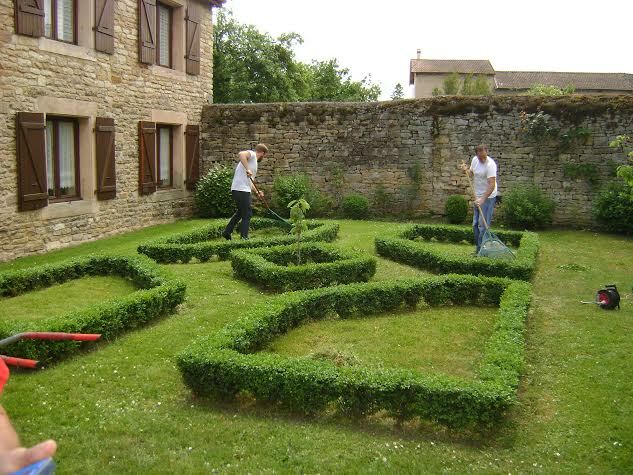 This includes being around friends and family, minimal difficult labor (such as not constructing steel beam contraptions for cement columns), and having a structured clean environment. We appreciate all of the thoughts and prayers you have sent and are so excited to be home. At the same time I know each of us are excited to see how the Lord will continue to work through us and for the Filipino people. Please pray for continued endurance and that the Lord will provide us with his never-ending strength. We love you all! With love, Katie Drudy and the Journey Team! If you have skill or experience doing any of these things, we would love for you to join us. The targeted dates to complete the projects are between June 22-July 5. If you would like to help but are busy during these dates, please get in touch with us anyway! There is some flexibility…we just want to bless these families! We would also like to provide a meal for each family after the projects have been completed. please contact Rachel BY THURSDAY, JUNE 5th HERE. If you’d like to receive daily updates via email, send your name and church name here. Each update is from a different student on the team. Please continue to pray for the team during the last week of their ministry! It’s that time of day once again that we get to share with you about our wonderful journeys for today! I will let Alex do most of the share but I will ask that you please continue to keep our team in prayer. We are right around the half-way mark of our trip which usually means that people are getting to a point of feeling really tired and possibly more prone to sickness. Our bodies are adjusting more and more each day which allows us to work harder, longer, and withstand the heat a little better which means we need to be more cautious about drinking enough and not getting sick. So far we have been incredibly blessed on this trip when it comes to health, but we would ask that you all continue to pray for good health for the team as a whole. we are definitely bonding well with each other and the support we do show when someone is not feeling well is amazing. You should be very proud of the various members on this team!! Thank you for your continued support and love for our team. Please remember that you are more than welcome to send emails to people on the team and I will be sure to share them with them. Happy Tuesday Morning back in the States! We have just finished out our 5th full day here on Boracay, and I can honestly say it was jam-packed. For the first time all trip, breakfast started at 8:00 am instead of the original 7:00 am, and we couldn’t have been happier about the extra hour of sleep. Speaking of food, we had another fantastic meal to start off our day. 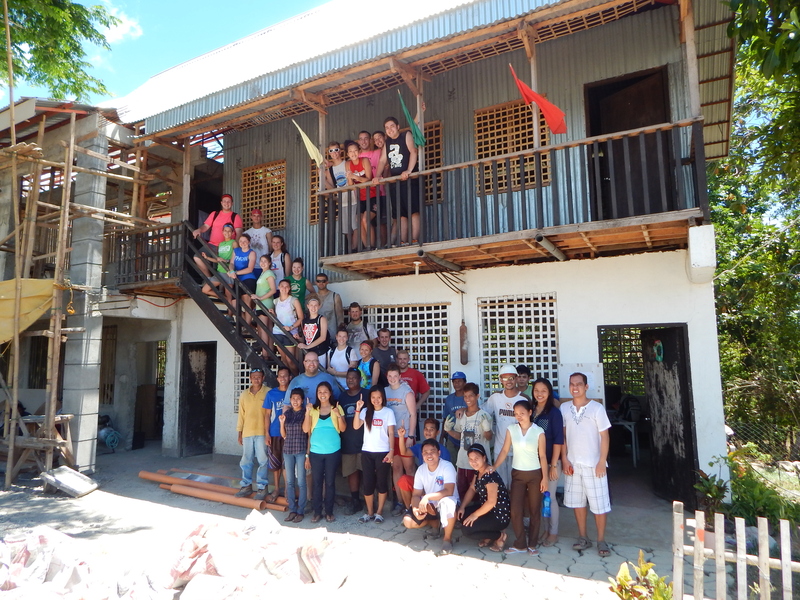 Unlike the other days when we have traveled to Panay, our construction was completed here on Boracay at the mission center. The group was split into various stations that included moving sand, spackling, and twisting wires. Our boss, who we call “Boss Bong” expected us to just finish moving this one pile of sand for the whole day. Our team surprised Boss Bong with our incredible work rate. We not only finished the first pile of sand, but also the two other piles. We finished these three piles by lunch break. We were all tired, but went back for more. Our team then proceeded for another two hours to exceed Boss Bong’s expectations. We brought up a pile of rebar to the second floor then cut and bended them exactly the way they wanted us too. Then, we finished picking up 70 pound bags of sand up two floors till the pile was gone. Needless to say we were a very tired team. We have found a groove and are able to work efficiently and together. The rest of our day was much more relaxed as some of our group were able to go sun set sailing and the other did beach ministry. We had around 20 or so kids come to our beach ministry of playing soccer and swimming in the ocean. The sailing group had a nice long ride, because the wind was non-existent. They rewarded our team with milkshakes from a local place called Jonah’s and that was a perfect way to end the night. Hope you can continue to keep us in your prayers and send those encouraging emails to each person on the team as they are read to the group. Still serving the Lord in the best way we can here in the Philippines. From all the team, thank you for your daily encouragement and support. Bec, Cheyenne and Heather reporting to you from the Vista House on Boracay. Today we finished our work at the school on Panay. We worked hard at making and pouring a cement floor for one of the classrooms they have been building. 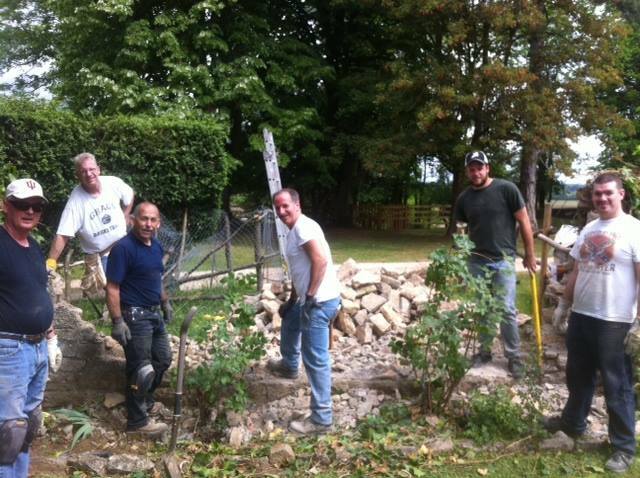 We had people carrying buckets of rocks and sand up to the top of a huge hill (we all got our leg workouts in for today) and we assisted in the making of and pouring of the cement. It was a humbling experience to see something be created that we know will be used to further education, and spread the Gospel. At dinner we all sat down and talked about how it was a bonding experience for our team because when you’re carrying heavy buckets up and down hills in the heat of a Filipino day, the thing that kept us going was the encouragement passed between teammates. Bong, the construction man in charge, had very high expectations for our team and we knew we passed his test because he allowed us to finish early! Later in the afternoon, we (Heather and their feeding site team) split up into two different teams. Our team went sunset sailing with the Red Pirates. It was a calm evening and we didn’t have a lot of wind, however, it was such an amazing opportunity to be able to sit on a sailboat and see God’s beautiful creations all around us. The water was warm and so clear, we could see down to the bottom, and before we knew it, the sun was setting a beautiful pink color. It was a relaxing ending to a very eventful day. Bec and I (Cheyenne) were a part of the second group. Our afternoon and evening were to consist of sports ministry down on the beach. Due to our sports manager Clod not feeling well, we were unable to do that. But, as our team’s saying has become, expect the unexpected. We found some kids we had been playing basketball with and played down on the beach with them. Most of the kids and us students too ran straight for the water and began swimming far out but one kid who was around 15 years old didn’t. Jacob Watson was able to sit down with him and talk to him about all sorts of things from favorite sports teams to favorite foods to God. As he said to us at dinner tonight, it’s in our natural instinct to gravitate towards the younger kids who are cuter and bubbly and jumping all over us but sometimes it’s the older ones who God wants us to reach out to and plant a seed. Tomorrow is a new day that everybody on the team is excited for. For the first time since we got here, we are staying on Boracay to do some different work on the island. We are all excited to see what the Lord has planned for our last week here. We thank you so much for your prayers and encouraging emails! Please feel free to keep sending us messages, we enjoy hearing from our loved ones at our meal times. 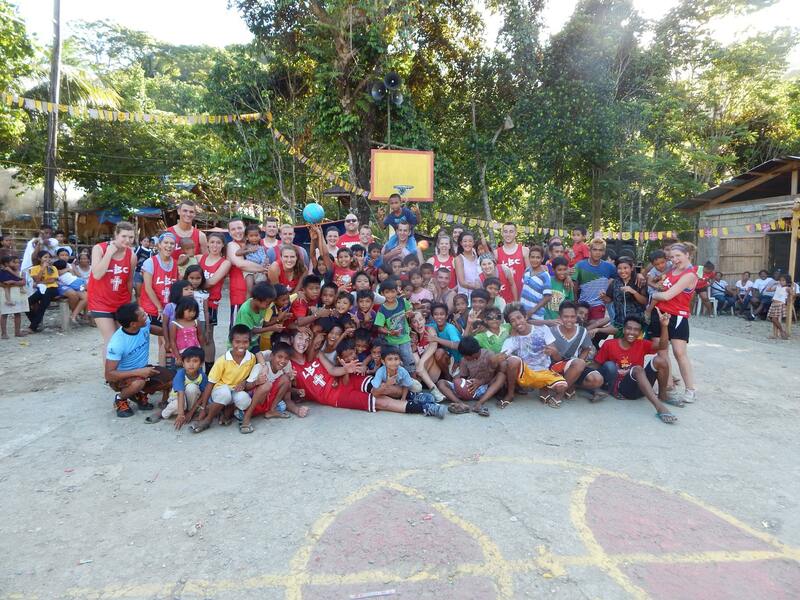 Heather, Cheyenne, Bec, and the rest of the Philippines 2014 team! Greetings from the Philippines! We are so thankful for all that has happened while we have been here in the Philippines. We have been amazed at the beauty to be found here, from the gorgeous sunsets over the mountains and ocean to the humble beauty of the simple way of life. I have been humbled over the fact that in spite of what we Americans would view as lack and poor living, the joy and the happiness of the Filipino people. Today, we had the opportunity to go to a local Filipino church and worship with them. The pastor shared from 1 Peter 2 in a message called “An Inspired Description of the Church.” This was also really cool in an ironic way since while we were at breakfast, Scott challenged us with a devotional thought from the same passage. Going to this church was an awesome reminder of the fact that while we live in a completely different culture than the locals, we worship and serve the same God. It was definitely a highlight of the day when a few of us sat to the side with a few of the Filipinos and sang some acoustic songs together. We met this awesome little boy named Joseph, who quickly became attached to everyone’s hips. He enjoyed taking selfies on all of our cameras, and would climb up onto our shoulders and ride around. Don’t worry, Joseph will pop up more throughout this email. One of my personal highlights from the day came as we were hiking down the path. Someone told Joseph to say hi to Jacob, and I heard Joseph yell, “Hi Jacob! What’s your name, Jacob?” The team couldn’t help but laugh at him. He also began to chant, “USA! USA!” on the way down the mountain. Another great highlight from the whole trip is just seeing kids lined up along the streets, just to watch us pass by. All we have to do is smile and wave at them, and their faces light up in joy. It’s so awesome to see how something so simple can bring such happiness to people. In closing, I would like to thank you all for your prayers and support. This trip would most definitely not be possible without you. As much as we love serving here, we also love getting to share it with you all through these emails. Also, thank you so much for the emails that you have been sending. We love being able to hear them. I’d encourage you all to keep sending them, for they encourage us to keep going. We thank and love you all. Friday, May 23: We looked over the jobs here at the Chateau, went to the supply place, talked to Joel (note: he is Chateau board president) for awhile, did a couple of small repair jobs, and spent some time saying “hi” to everyone on staff here at the Chateau. Saturday, May 24: Lots got done today. 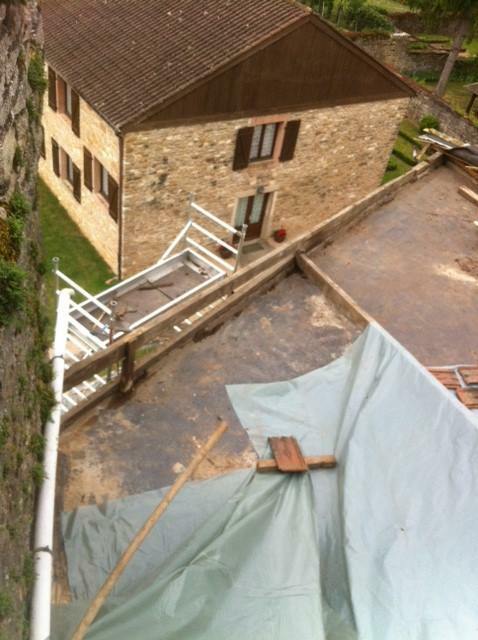 We took all the tiles off the roof and now we need to clean them up. I went to the store 2 times today after spending some time measuring everything. I ordered wood and picked up some supplies we’ll need for the roof. 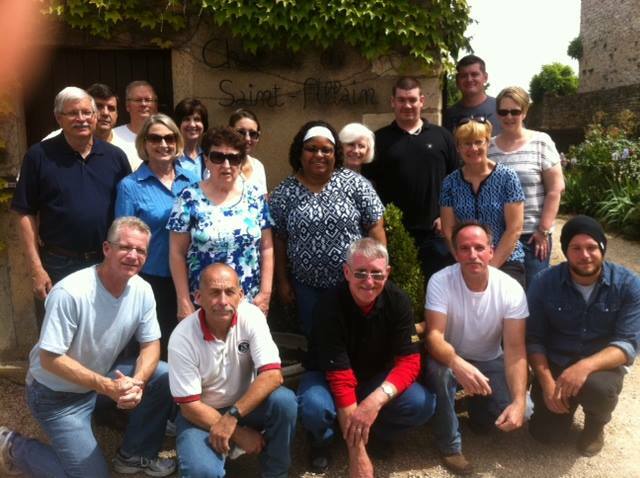 Sunday, May 25: I picked the team up in Lyon this AM and got back to the Chateau about 1pm. They have super team members with lots of experience. I’m afraid they won’t get to enjoy French bread because we’re eating breakfast at 6:30 am and the bakery doesn’t open until 7 — too bad about the French bread and pastries! Memorial Day Monday, May 26: We got the beams for the roof today, and we ordered a mini pele (small backhoe) which was supposed to be delivered this afternoon, but never showed up…will need to check on that tomorrow am. We carried a bunch of tile up to the roof and took the Chateau van to the shop (it will not start because the starter is shot), so the garage ordered a starter and I’ll need to take it back on Wednesday for the install…In the mean time, we push it to get it started! Tuesday May 27: We’ll be working on the roof and hope to get it to the place where we’re able to begin to lay tiles. 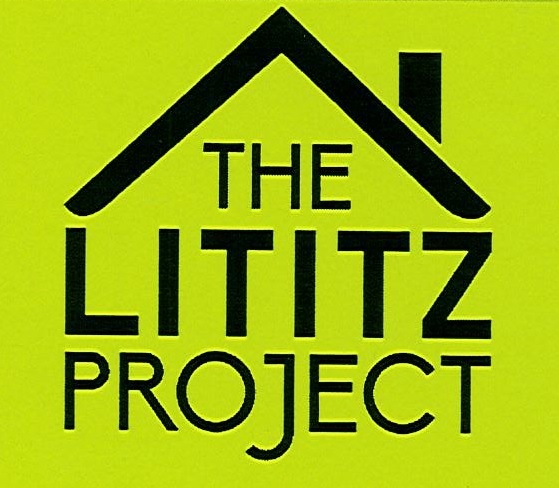 On May 14th, the elementary and intermediate school students at Lititz Christian had a special guest for chapel. Shelly Lutz came in to share details about Haitian life with these students. Though pictures and stories, kids were able to see the differences between their lives and the lives of children who live far away in different circumstances. Shelly’s purpose was to try and “make Haiti real” to these children in preparation for their spring service project. She shared why teams go to Haiti, what they do in Haiti, and how the kids could help. This provided a bridge to sharing about how kids could help this summer, by gathering items for Grace Church’s 2014 Haiti team to take along with them in July. The “Haiti Project” ended last week; below is a summary of the project from Shelly. The “Haiti Project” helped to supply items that would help us out with doing our VBS program, as well as some personal hygiene products. 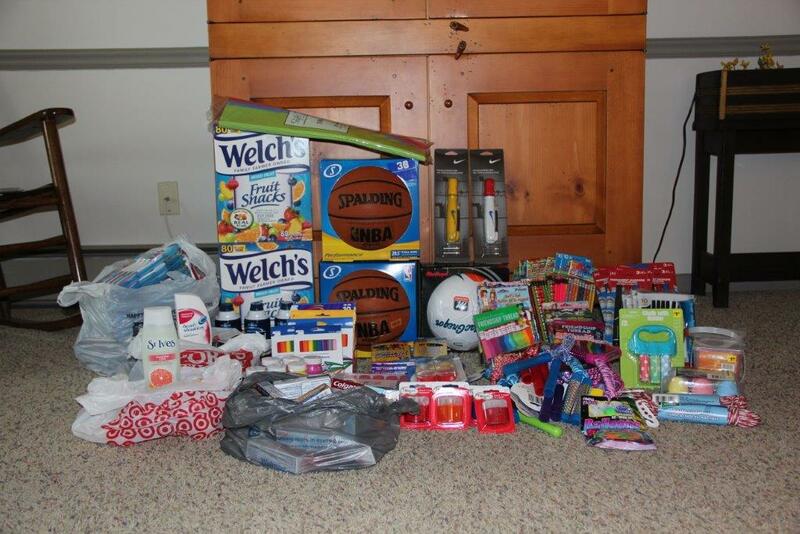 These personal items will help the 40 plus kids at House of Hope Orphanage, as well as staff. The rest of the items will be used for crafts, lesson activities, and games throughout the week we are there. We are hoping that by teaching the students at LC more about Haiti that they will have a new understanding of a different country and a new awareness of missions and how other people live in this world. We had a great response and I think that the LC kids really enjoyed doing this, knowing that they could help other kids and spread the love of Jesus. This is only HALF of what we have to divide and pack between 11 people!! Everything we do down there has to be brought down by us, as there are no CVS or Walmarts to pick stuff up at. We each get a 50 lb suitcase and 20 pounds in our carry on. Keep your eyes peeled for more info about the July Haiti team, led by Steve and Shelly Lutz! After nine days of ministry in Scotland, the senior class is on their way back to Lititz. They will be arriving in Philadelphia any minute! Take some time to check out all the ministry updates from their trip HERE. Also, we encourage you to continue praying for these team-members, as well as all the other Grace Church folks traveling on short-term teams this summer, as they debrief about their experiences. Each one of them has had a unique perspective of people groups and cultures who view the world completely differently. Some have experienced God in new ways – and perhaps are feeling a call to something new in the next season of their lives. And all of them have learned lessons that will impact their lives from here forward. 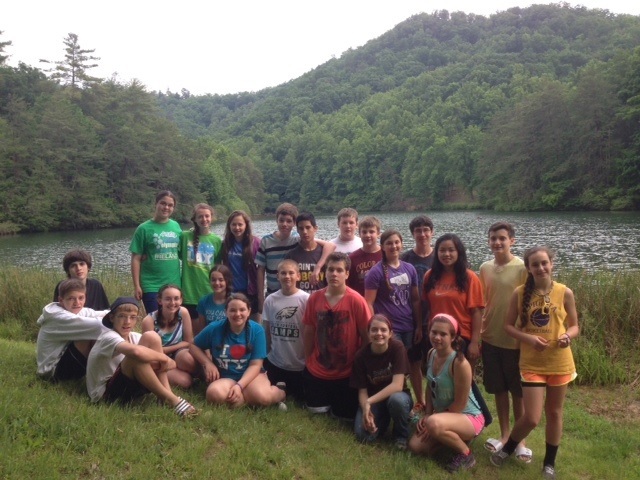 The 8th grade class from Lititz Christian has spent the last four days on Wears Valley Ranch in Tennessee. They do not have a great internet connection, so they were unable to send frequent updates. However, please continue to pray for effective ministry during their last hours at the ranch. Also, please pray for safety as they drive home today.